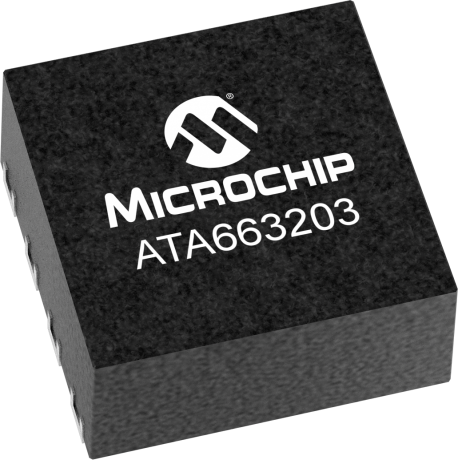 The Atmel® ATA663203 (voltage regulator) is a fully integrated low-drop voltage regulator, with 5V output voltage and 85mA current capability. It is especially designed for the automotive environment. A key feature is that the current consumption is always below 170µA (without load), even if the supply voltage is below the regulator's nominal output voltage. The ATA663203 footprint is compatible to the ATA663254 which enables customers to produce modules with/without LIN transceiver by assembling the LIN SBC (ATA663254) or the standalone LDO (ATA663203).